Lithuania, unlike Estonia, has a fairly large selection of quality online dating sites. The sites that I mention here – the best online dating sites in Lithuania – are the ones that I believe are the best ones to put you in a position to succeed if you are lonely and looking. Compared to the other countries in the Baltics, this country has a relatively high male to female ratio. In the 15-64 age group, the male-to-female ratio is an amazingly low 0.91 for Estonia but a depressingly high 0.97 for Lithuania. Online dating in Lithuania is going to require a good deal of work on your part. You will have to work your tail off scanning lots of profiles and sending messages back and forth. Your best bet is to stay in or near Vilnius which has the largest pool of singles. Also, assuming you don’t speak Lithuanian, you are going to have that much more of a difficult time in trying to connect with someone as many people don’t speak a bit of English. Without further ado, here is the quick list of the top three dating sites in Lithuania. I’ll go into more detail in my reviews below. Draugas is Lithuania’s most popular dating site. Over 76,000 new members signed up in the week preceding my signup. Overall, the site needs a major visual rehaul. The design is pretty bland, ads are everywhere, and there are so many tabs that it’s difficult to see what is where. Once you get your bearings however, Draugas pulls through with quality profiles, plenty of options for finding good matches and solid communication features. If you find yourself in Lithuania any time soon, definitely give Draugas a try. To sign up, enter your username, gender, birthday, city, email and password, or link your Facebook, Google or Yahoo account to save yourself some time. Continue by entering more basic information, including your name, marital status, height, and education. You can also select to receive 50 credits upon signing up, in exchange giving permission to Draugas to send you marketing emails. At this point, you are free to browse the site. If/when you decide to fill out the rest of your profile, there are sections to enter more of your basic information. You can specify your educational background, what languages you speak, your interests, hobbies and favorite music. You can also upload a video to your profile to introduce yourself. The ever-present search feature is available, letting you filter by all the basic information you entered for your own profile. You can also filter by the level of profile completion, the profile’s popularity (0-5 hearts), and the user’s level of responsiveness. Next, you can browse the photo galleries. There are favorite albums, favorite photos, latest albums, all-time top, and photo competitions based on theme (e.g. The first impressions of the spring). There are 4 more features (with poorly translated titles) to play with: Wants to meet, Young Women desire, I have called, My pairs. All these share the same design, a Tinder-like system where you vote on profiles one by one, Liking them or passing, picking how you would spoil them (coffee, flowers, massage, etc. ), or what you want to compliment them as (amazon, goddess, sun, etc.). Send a Kiss, add them as a friend or to your favorites, donate a gift, or send a message. With the Donate a Gift feature you can either send virtual gifts (flowers, wine, etc.) or actual gifts, such as coffee, perfume or chocolates, delivered to their home. Messages are text only, with emoticons and attached images available. You can also check out the Stream which is basically Draugas’ version of the Facebook news feed. Members can post updates, photos, links to videos, etc., and other members can comment on the posts. Draugas has an on-site music archive. Search through their library of hundreds of thousands of songs, adding those you like to your profile. This does not just show what music you like – you and visitors can actually listen to these songs. You can also see the most popular and recent searches on the site and browse other users’ collections and playlists. DarniPora (Harmonious Pair) is a Lithuanian dating website, while BalticDate is the English version of the same site. DarniPora started in 2006, and regularly sees around 120,000 live users a month. The site sets itself apart by using a compatibility test to match its members together. DarniPora overall is a pretty bland site. When I was a member, the design and features were limited, parts of the site didn’t work, parts of the English version were not translated correctly or at all, and while the personality test is pretty good, the resulting matching system feels lackluster and unfinished. Bottom line, DarniPora is one of the largest Lithuanian dating sites, and thus worth at least checking out, but don’t expect much. After a couple pages of basic, personal information, you take the personality test. You’ll answer over 70 questions about your values, interests, habits, personality, and sexual views, as well as rate colors and shapes from least liked to favorite and choose favorites from selections of pictures or abstract shapes. 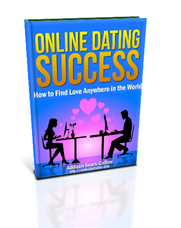 You’ll also select criteria for your ideal match. Finally, upload a photo (if you wish), and then you are done. You can browse and create searches of your own, through Quick Search, Search, and Detailed Search, with various levels of filtering options for each one. You can also browse through the Newest members, Online members, and Random Compatible Matches. Now, DarniPora says upon completing registration that they will use your test results to find and present a list of highly compatible matches for you, renewing this list every 24 hours. For many profiles on DarniPora, you will indeed see 4 compatibility scores (Total, Character, Values and Sexual) and a brief character description, with some profiles also including a brief description of their Briggs-Meyers type (INFP, ENTJ, etc.). But I could not find the promised list of the highest compatible matches. I first assumed these matches were found in the Random Compatible Matches section, however most of the members displayed there had compatibility ratings of zero. Two of the members had compatibility ratings of 52% and 54%, but I found higher compatibilities from random selections from the Online and Newest members sections. So either DarniPora is in error here, and there is no list of recommended matches, or the matching system has some major glitches. DarniPora’s communication features are bland. Pretty much your only real communication option once you’ve found a match is to send a message, and these are text only, with basic emoticons available. An indirect form of communication is to visit someone’s profile, which they will be notified of, or “liking” them in the Game feature, basically a Tinder-like swiping system where both of you are notified when there’s a mutual match. DarniPora’s main claim to fame is its personality test. Compared to other sites however, this test is nothing special. And while you do see compatibility percentages with many profiles on DarniPora, there is nothing explaining how the two of you would fit well together, and many profiles have no compatibility or character information at all, which I can only assume is because they did not take the personality test. I was under the impression that you had to take the test to sign up however, so this is confusing to say the least. Mamba.ru is big in Russia and Ukraine, but I would only use it in Lithuania after I’ve exhausted the options above. The good thing is that Mamba is 100% free.